One of the most effective ways to address database performance and cost challenges is to modernize the underlying hardware infrastructure—rather than optimizing the database software. In this vein, innovations such as flash storage, converged infrastructure architectures, and sophisticated data management platforms often can address these issues. How? 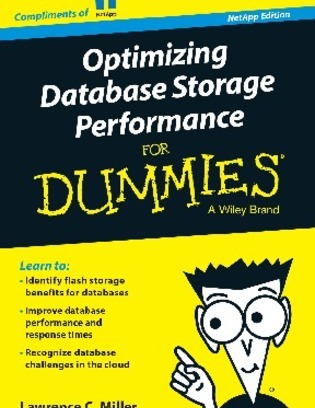 This 53-page eBook examines several of these solutions, with a particular emphasis on how database storage technologies and innovations can help drive business value, and key performance optimization capabilities to look for in a storage solution.